For Kids 4 years old – 5th grade. All children attending VBS must be 4 years old by September 1, 2019 and potty-trained. Kids will experience the solid foundation of God’s goodness – something they can stand on, cling to, hold and remember when the wild side of life doesn’t feel so fun or adventurous. Each night of VBS at 8:30pm, we will have a time of Family Worship where you will get to hear and sing the songs your kids are learning and get to discover what we’ve been talking about all night. We encourage every family to make this a priority and not a change to leave early! This will be a day of celebrating a great week at VBS. Our kids will be singing songs and highlighting stories from the week. If you have any questions, please contact Pastor Ryan, Shelly Miles or Carolyn Novak. 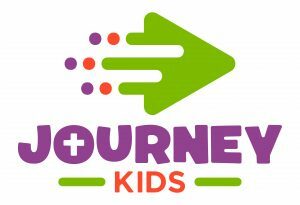 Journey Kids is a ministry to kids Birth – 5th Grade and their families!